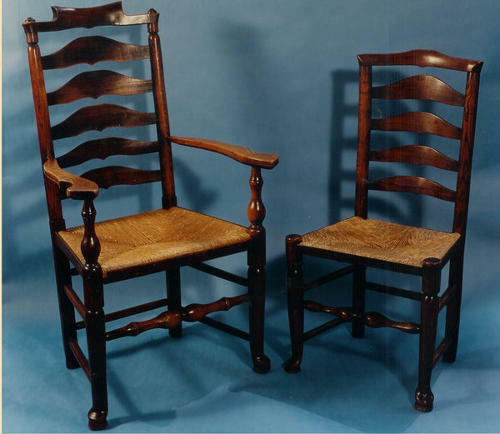 A fine matched set of 18thc "Billinge" type Ladderback Chairs, set includes six side chairs & two carvers all re-rushed to a high standard. English. C1780 -C1800.